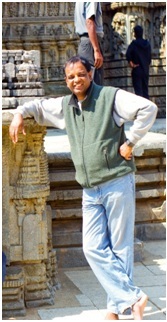 Anup Y. Attavar, an alumnus of Loyola High School, Pune and Fergusson College, Pune is a mechanical engineer from College of Engineering Pune (COEP), with a Post Graduate Qualification in International Trade from Indian Institute of Foreign Trade, New Delhi (IIFT – under Union Ministry of Commerce, Govt of India). An author, teacher and motivator, Anup possesses formidable writing skills, as manifested in his book 'World Famous Indian Scientists', which motivates the youth to achieve excellence in their personal lives and professional careers. Anup has leveraged his effective communication skills, excellent command of English language and his passion for Nation building by his powerful creative writing on topics of national interest and importance, thus connecting with the youth and the student community. His articles carry strength of conviction and are regularly published in Dwarka Parichay Newspaper, New Delhi. He is gifted with exceptional analytical skills and is meticulous in his work, with a keen eye for detail. He perseveres to get the best out of his creative abilities, regularly raising the bar that automatically leads to high quality work. Anup has been an academic pillar of support for school students as well as young professionals from cities like Mumbai, Pune, Bangalore, Hyderabad and New Delhi and has been instrumental in fulfilling their aspirations of pursuit of higher studies in USA, UK, Germany, Australia, Canada, etc. He offers guidance to Graduate Engineers, Doctors and other professionally qualified aspirants to write crisp, elegant and technical Statements of Purpose (SOP) – an important prerequisite for their admission (after their GRE) to US universities for higher studies. Anup is the Managing Editor of ‘Education (Today & Tomorrow)’ – a magazine for teacher and parent education – published by Meta Schooling Pvt Ltd., for which, as Director – Communications, he is also presently responsible, among other activities, for writing and editing curriculum and related content. He has edited ‘Dharma Unfolded’ – a philosophical treatise and ‘Education – Gurukul v/s Colonial’. Anup is adept at writing powerful letters to the top management of Corporate Entities – in the process, sending strong messages to Powers-That-Be that stir them into action. Consumer Organizations and consumers alike could utilize this trait to redress consumer related issues and ensure justice to the aggrieved. He writes thought provoking speeches for Senior Executives, aimed at target audiences and appropriate for the occasion. You may contact Anup for your requirements in SOP, MBA (GMAT) essays, and Admission & International Scholarship essays. Anup is ably supported by Vinay Sethi, Sandip Mukherjee, Sriram Srinivasan and G. Santhana. 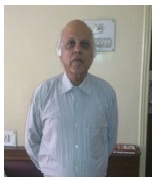 Vinay Sethi, an MA in English has been involved in the propagation of correct English for more than twenty-five years. His published work includes articles, short stories and poems. He is the author of the popular “How Not to Speak English” containing three hundred and sixty concise lessons in English grammar. Sethi’s grasp over the English language, especially its grammar, is phenomenal. Having taught for many years at a number of institutions, Sethi is now a freelancer and as a consultant, specializes in guiding the corporate and academic world toward interaction in national and international settings using correct English with a special focus on Grammar and Vocabulary skills. Hundreds of Sethi’s students have performed brilliantly in English. Sethi has also worked at a call-centre and monitored hundreds of calls of employees’ language skills related to the UK as well as US accents. He has helped many Indians become confident with their English-related skills, guiding them through their writing efforts in putting across their Statements of Purpose and other essays, in addition to professionally aiding them in preparing for IELTS & TOEFL. Several of his students are now gainfully employed in countries such as Australia, Canada, Germany, New Zealand, Singapore, the UK and USA. As an editor, Sethi’s skills are highly appreciated. Sethi is a teacher/trainer/speaker/writer who regularly monitors, evaluates and assesses the development of English-related skills in Indians apart from writing inspiring articles, poems, short stories etc. With his practice-oriented style and pragmatic approach as reflected in his umpteen articles and wonderful book, Sethi continues the arduous task of trying to make hundreds of Indians speak and write good English with virtually no errors. He is in great demand by students who wish to get professional advice in the writing of PhD theses. Sandip Mukherjee, who is qualified as a graduate in Science from Calcutta University, holds a Post Graduate Qualification in Administration from Nanyang Business School, Singapore. 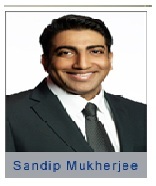 Sandip, an ex-Army Major has rich Army experience, coupled with a successful track record in corporates like KPMG and has excellent Communication skills. Sandip had started his career as an officer in the elite Infantry Regiment of the Indian Army and is a veteran of several operations. He was also posted as an instructor where he leveraged on his counselling and advisory skills to transform non-uniformed resources to a second line of defence for the country. Post his military tenure, he has led several corporate initiatives in large organizations and has a special interest in social responsibility projects. Having gone through the admission process for MBA programs in several universities,Sandip has counselled and guided others in essay writing for MBA in foreign universities. Sriram Srinivasan has a Diploma in Electrical Engineering. With an additional Diploma in Computer Hardware and Software Applications, Sriram is also well equipped with a rich technology background and is well versed in making optimum usage of Technology and Internet, in the professional world. 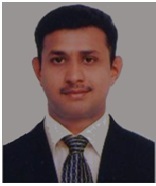 With exceptional inter-personal communication skills, Sriram has an admirable command of spoken and written English. In addition to this, he can fluently converse in Hindi, Marathi, Tamil and Kannada. He also has an A1 Level French Language Certification from the Alliance Française, Bangalore. In his contributions to content development so far, Sriram continues to take up projects, rich with challenges and opportunities to excel in quality output delivery. He has developed Business Content for the Ophthalmic Profession involving leading eye hospitals. Sriram also has designed and developed Online E-learning Training Modules, which have proved to be an effective substitute for the erstwhile classroom sessions. He has also taken up Content Editing Projects, leading to an end-result of delivering content, free of grammatical errors. A recent addition to his wealth of experience has been a documentation project for an organization into Solar Power Generation. In his career, Sriram has travelled overseas extensively, spanning from USA, UK, Canada, The Middle East, Singapore, Hong Kong, Malaysia, Thailand and Sri Lanka. Being goal-oriented, enthusiastic and passionate about his job, Sriram possesses a keen eye for detail. He is open-minded and highly adaptable to innovations. He performs well even under pressure and is known to be a team player, who can work without supervision. Sriram also excels as a host of professional functions and Master of Ceremonies, delivering classroom lectures as well as soft skill training. G. Santhana, an MBA in International Marketing, is qualified in Electronics and Telecommunication Engineering. He possesses expertise in digital marketing, social media, technical video making and video marketing. He is an expert in pre- and post–sales and in branding. Santhana has had international exposure, especially in the Middle East and has also travelled widely in India on his official assignments. He has been involved mainly in sales and technical service for MNCs. Some of the prominent MNCs he has been associated with are Fischer India (A German Company), KEMPPI India (A Finland based firm) and TII Techno Testing, Dubai. Presently also with Marketing 2 Sales, Santhana is involved primarily in video production and editing, web design and development and content management. He is well versed in social media marketing and SEO. He is proficient in softwares like Adobe Photo Shop and Premiere Pro, Google Ad words, Corel Draw and Audacity, etc. Santhana is not only self-motivated; he displays tremendous enthusiasm, is result-oriented and dedicated to his work, and is highly energetic. He adapts very well to the ever evolving technology, to different environments and people of different cultures and nationalities. Santhana may be contacted for your requirements of content writing and editing, Resume/CV writing, Cover letters, PPT presentations, documentation, etc. You may get in touch with him for your enquiries for a commercial quote. Anup, Sethi, Sandip, Sriram and Santhana, in addition to being passionate about creativity, complement one another’s roles to perfection, blending professional expertise with sound managerial experience. Today’s market demands prompt service. We carefully listen to our clients and provide the most user-friendly, unique customer-orientated solutions to maximize effectiveness. We take pride in our work ethics and follow a consistently friendly approach in communication to ensure that ultimately it not only meets but also exceeds our clients’ expectations. We as a team are totally dedicated toward customer delight. To share our knowledge and expertise including our skills so that these are utilized for the benefit of our students; to offer unparalleled services to our clients at affordable prices, thus endeavouring to establish ourselves as trusted and reliable business partners. We strongly believe in integrity and honesty, an open and respectful culture, and accountability towards our clients and associates. Our strength lies in our striving to provide excellence tempered with adaptability. We provide prompt services with personalized attention.